Set in the romantic and death-defying world of the international bestselling Die for Me trilogy, this digital original novella follows Jules, a brooding, immortal French artist who has fallen in love with his best friend's girlfriend.Jules Marchenoir is a revenant—an undead being whose fate forces him to sacrifice himself over and over again to save human lives. 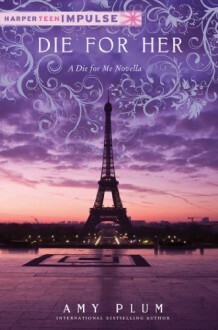 He's spent the better part of the last century flirting his way through Paris, but when he met Kate Mercier, the heroine from Amy Plum's Die for Me trilogy, he knew his afterlife had changed forever and he had found the love of his life. Until Kate fell for his best friend, Vincent. Now Jules is faced with an impossible decision: choosing between his loyal friend and a love truly worth dying for. The series would be infinitely more interesting from Jules' POV. Basically Die For Me and Until I Die in Jules ' POV it's heartbreaking really how he's in love with his best friend's girl and can't do anything about it.